There are a lot of racing games out there, everything from hyper realistic driving sims like Project CARS 2 to the super arcadey titles like Crash Team Racing (I really, really love me some Crash Team Racing). When I saw Project CARS 2, I made note that I am not very into driving sims. I can respect the tech that goes into them, but I’m really bad at the nuance these games require, ending up driving on the shoulders and ramming into walls. 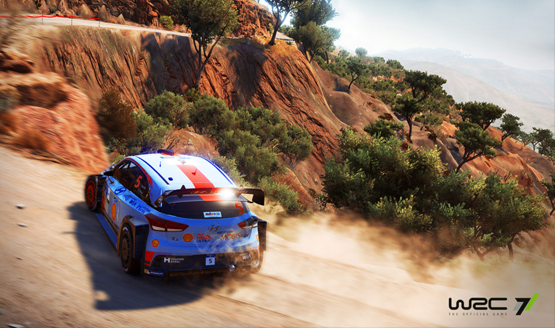 I worried when went to see WRC 7 that it would be much of the same thing, that I would spend a lot of time driving in the dirt and wrecking my car. The benefit of rally cars in real life is that they already drive in a very arcadey manner in real life, so translating them into a game, even ultra realistically, makes for the arcadiest driving sim that you can imagine. Now that’s not to say I didn’t still spend a lot of time driving in the dirt and wrecking my car. Turns out it’s pretty much all driving games that I’m bad at, so there’s a little self-discovery that went along with this preview. One of the developers was telling me that recreating rally cars on an exact scale in-game made them fell too arcadey, so they actually pulled back on some things, like increasing braking distance and adjusting how they turn. One of the biggest things they did to make the game feel realistic is contouring the road so it isn’t flat. The dips, rolls, and pits are all there, and driving along these tracks feels just like you would expect a real road as the car pitched and rolled along with the small imperfections in the road. Instead of only bringing in the 2017 rally cars, WRC 7 will feature cars from both this year and last, filling out a massive roster of vehicles. I was told that there had been a big change in the vehicles between the seasons, so each set will drive and handle quite differently. They’ve been working with professionals and rally car drivers to make sure that the cars feel as realistic as possible. It’s always great to have expertise of that level on licensed games like this, and that kind of hard work and dedication shows in WRC 7. Graphically the game is quite impressive and the atmosphere of each of the tracks comes through, whether it’s raining, snowing, or sunny, and no matter which continent you find yourself racing on. Each continent will have a super race, a massive challenging track that runs for nearly 20 minutes, where you can take in the little environmental details throughout the course of the race. And what would a racing game be without a damage system? WRC 7 will damage your cars (well, ok, I was the one damaging my own car with terrible driving), and that damage will impact how your car can control and handle on the track dynamically. WRC 7 is a very specific type of driving game. Rally cars are a whole different class of vehicles than those that would grace a game like Project CARS, and Kylotonn has done an incredible job in recreating that specific part of the racing community, and fans will love the latest when it finally releases later this year. 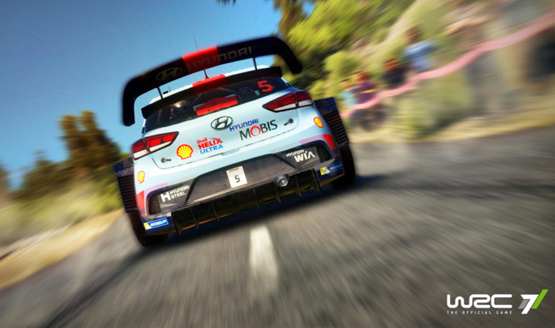 WRC 7 releases in 2017 for PS4, Xbox One, and PC. Check out all of our E3 2017 coverage.